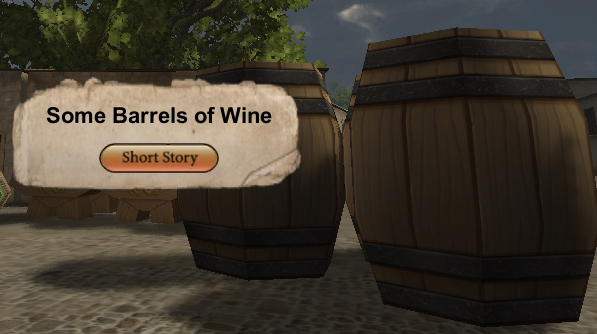 Locate these barrels of wine inside of Virtual Plasencia to read the short story about Jewish, Christian, and Muslim winemaking. Winemaking was a perennial interest of Jews, Christians, and even, Muslims. Even though Muslims were religiously prescribed from drinking wine by the Qur’an because it led to a culture of “debauchery”, this did not prevent Extremaduran Muslim families from owning, renting, and managing their own production of wine. In this manner, winemaking created a co-existence of cultures. If medieval Muslims were Qur’anic prohibited from drinking wine, why might they have been involved in its production? How does the environment and agricultural production shape persons’ professions and identities? How did wine shape this community of Jews, Christians, and Muslims? Older Post Announcing Virtual Plasencia Version 1.0 – Come Visit the Spanish Middle Ages!